All welded construction prevents rattling, shaking and the deterioration it causes. Ensuring that your Ranch Hand product is long lived and reliable. Frame mounted design offers the greatest impact resistance. This grille guard will keep you, your truck, and passengers safe when debris and obstacles catch you off guard. Give your truck or SUV front end protection and a new look with a Ranch Hand Legend Series grille guard. Legend Series grille guards are the original ranch style grille guard in the industry. 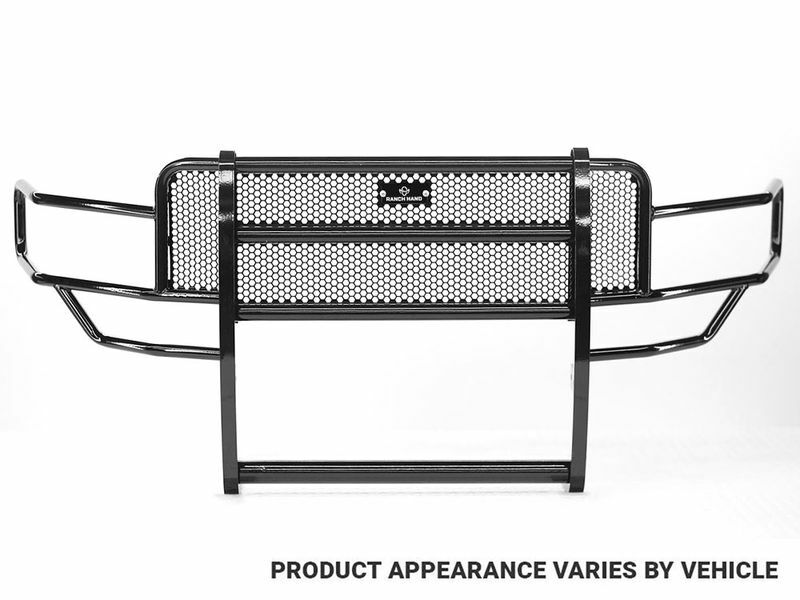 This black powder-coat grille guard gives your truck a sleek appearance and fits your specific truck or SUV. Ranch Hand Legend Series grille guards are a heavy duty ranch style guard that mounts to the frame of your truck in four locations. This allows for a tight, vibration free fit. This grille guard is a one piece welded construction with a custom punched grille insert that matches the grill of your truck. The one piece construction eliminates rattling and creates a solid barrier. Ranch Hand Legend Series grille guards are made to keep you and your passengers safe from any obstacle. Get your American made Ranch Hand grille guard today. Install your Ranch Hand Legend Series grille guard at home with the included hardware and installation instructions or bring it to your local auto body shop. If you have any questions give our customer service team a call at 877-216-5446.